FirstPromoter allows you to manually assign sales and commissions to your affiliates in case you tracked the affiliate sales through other means. go to the promoter overview page, scroll down and click on the button called "Add rewards manually". on the Customers and Leads section, click on the item menu() then click on "Assign sale and reward"
FirstPromoter will calculate the correct reward/commission based on the Conversion Amount(sale total) and Plan ID(if you use plan-level rewards). 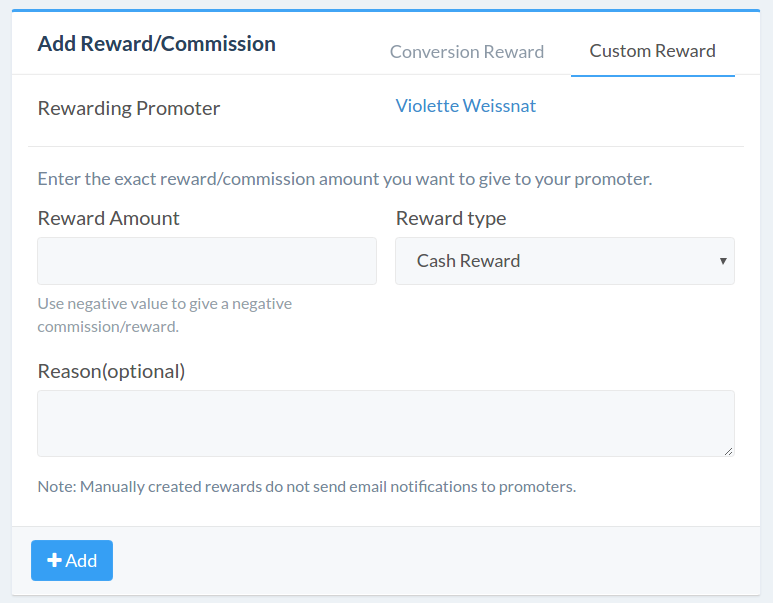 If you don't want to let FirstPromoter calculate the commission and you want add an exact commission/reward amount, click on "Custom Reward" tab on top. 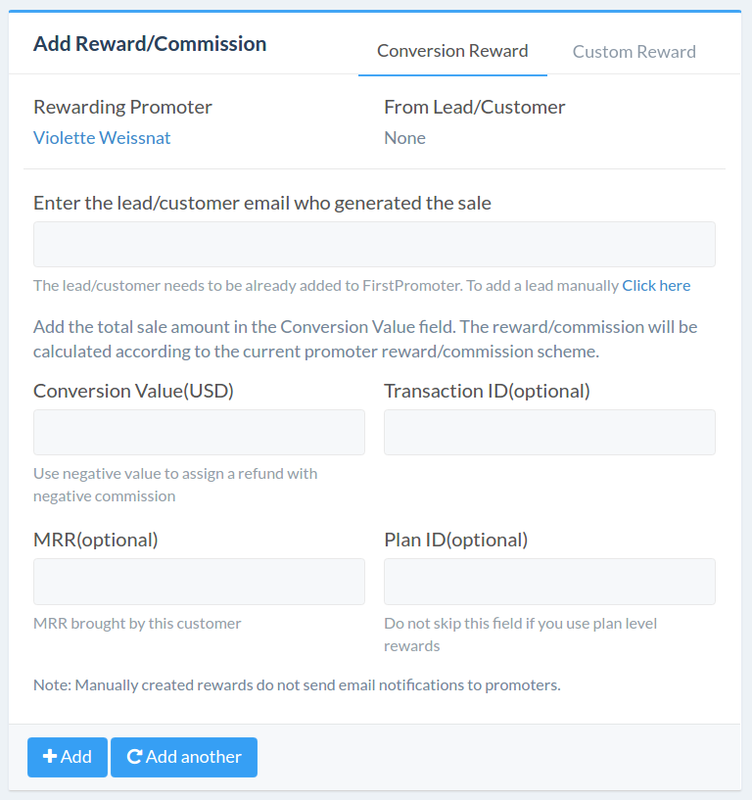 Conversion Rewards needs to be assigned to a lead which is already added on FirstPromoter. If the lead is not added, you can add it manually. To add custom rewards go to go to the promoter overview page, scroll down and click on the button called "Add rewards manually". On the new window, click "Custom Reward" tab on top-right side.